- If you feel lightheaded, stop taking the supplement and consult your health care provider. - If you have diabetes, do not take supplemental chromium (especially chromium picolinate) without first consulting with a qualified health care provider. 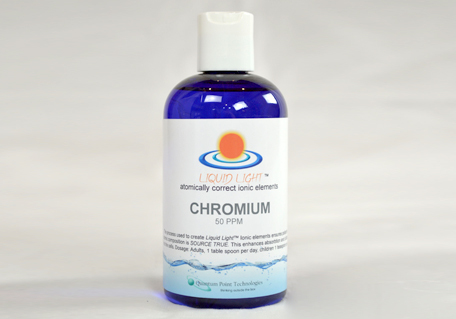 - Some people experience lightheadedness or a slight skin rash when taking chromium. - There is no evidence that chromium is toxic, even in high doses, since any excess is excreted. However, it is suggested that you do not take more than 200 mcg daily unless supervised by a registered practitioner. - White flour and white sugar steals chromium by stepping up insulin production, which in turn flushes out chromium.